Tennessee Gov. Bill Haslam isn't ruling out a future run for U.S. Senate. The Republican's comments came in response to a question at a Tennessee Press Association luncheon Wednesday. He also told reporters that a possible Senate bid isn't something he's been spending a lot of time thinking about. Haslam, who cannot seek re-election in 2018 due to term limits, said he really doesn't know what he's going to do next. He said governor and U.S. senator are two really different jobs. 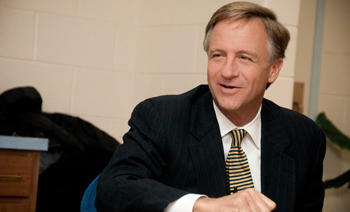 Haslam said at this point, he's "kind of in love" with what he's doing as governor. The comments could further fuel speculation that Sen. Bob Corker could run for governor next year, or Sen. Lamar Alexander could retire after his term ends in 2020.